The 2016 Summer Paralympics will take place in Rio de Janeiro from September 7 to 18. And while these are the eighteenth Paralympic Games, and they get considerably less press and attention than the Olympic Games that precede them, there is no doubt that the participants in the Paralympics are athletes, amazing athletes, in ways difficult for the majority of us who have a body with fully functioning parts to comprehend. To many of us, those who are, for example, blind or deaf, have a missing limb or two, are thought to be at a disadvantage. My current understanding is that the world and the rules we live with were built first for the average person in mind. But with the changes in laws and mindsets in many countries, and thriving disabled role models reflected back to us in film, television and sport as enabled athletes, the perceptions of many are changing. In Japan for example, the government has challenged the private sector with the task of ensuring that 2% of its workforce is made up of disabled or special needs employees. In the early years, companies struggled to find the talent who could be employed and do work that was meaningful for both the employee and the employer. Today, leaders and employees alike are far more experienced in the hiring of and adjusting to the disabled, and they in turn are become more experienced in the workplace, gaining greater skills and knowledge. Role models, as I have written several times in the past, are so important. Channel Four, one of the major television stations in England, is the broadcaster of the Paralympic Games for England. 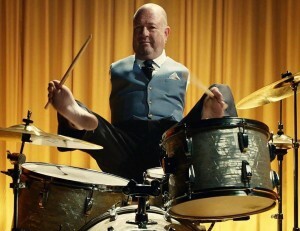 And to promote the 2016 Paralympic Games, they produced an absolutely fantastic video that showcases “superhuman” abilities. You have likely seen it. The nearly 3-minute video is called “Yes I Can”, a Sammy Davis Jr classic. I could not agree more. I can almost feel the soft abrasions of my perceptions shifting as I watch this amazing and uplifting video. Posted in Others, Paralympics, Rio Olympics and tagged Alvin Law, Channel Four, Paralympics, Tony Dee, We are Superhumans, Yes I Can. Bookmark the permalink.